Own a piece of history in the town of Maxeys. Wonderful historic brick building built in 1920. 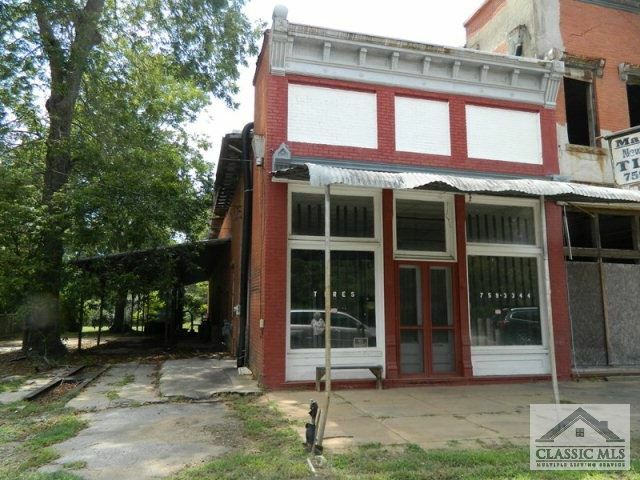 The building originally was a bank and the back was used as a cotton gin. The front part of the building has approximately 770 sq. ft. and the warehouse back has approximately 1870 sq. ft. The last use of the building was a tire repair store.The property is zoned Commercial B1. Maxeys is located only 30 minutes to the Athens and the University of Georgia and approximately 30 minutes to Lake Oconee in Greensboro. Rare opportunity to own a great piece of history.